Mike Shepherd's pro career started as a teenager. 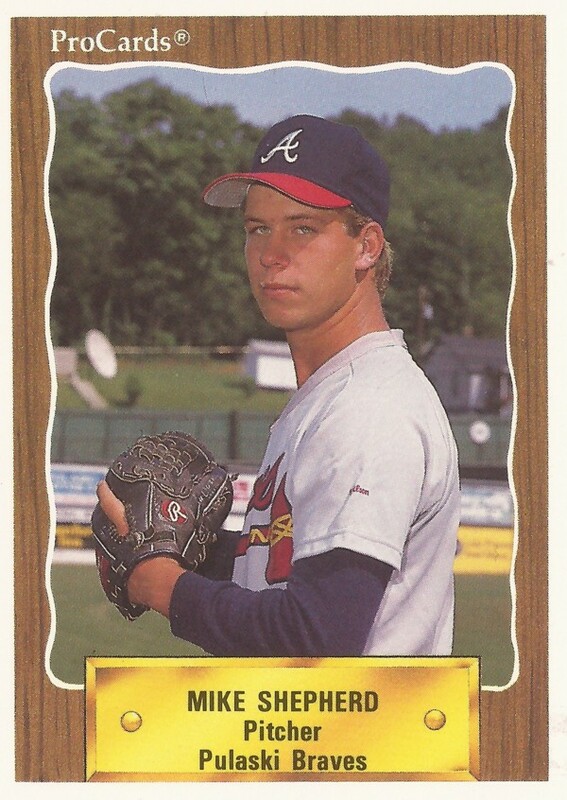 He signed with the Braves in August 1988, according to his ProCards card. He was still 18 years old. 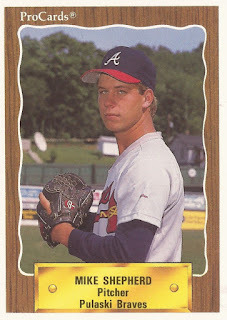 He went on from signing that year to play his first games in the Brave system in 1989 in the rookie Gulf Coast League. Though he got a head start on the pros, Shepherd's career ended up being brief. He played just two seasons. He never made single-A. Shepherd took the field in 1989 for the Braves having played some college ball at Otero Junior College in his home state of Colorado. He grew up in Colorado Springs. Shepherd played his first season in the GCL. The right-hander got into 27 games for the team, posting an ERA of 1.43. He went 3-3 and picked up six saves. He then moved to rookie Pulaski for 1990, but he couldn't keep up what he started in his first season. His ERA rose to 4.02. He also got into fewer games, 18. He went 2-5, starting one game and picking up one save. It was his final season as a pro.